Adidas Originals kindly sent me a box of their newest designs, and I absolutely adore these. Keeping one color for yourself, and gifting another to your partner would be so fun! These have been all over my Instagram lately, so expect to see more from this range including the Samba cases. These cases are available on Amazon.com, and your local Verizon and AT&T locations. Pictures to come on Instagram of course, but my next favorite gift is one that takes local businesses into account. I love to shop small businesses when I can, so for this gift think of a local shop, bakery, coffee house, or restaurant that you and your partner frequent and turn that into a gift. My local donut shop is selling special Valentine's Day donuts this year and I plan to gift a box to my boyfriend. He also loves his coffee and tends to use my travel mugs that are showing some wear and tear now. So I've created a custom one for him on the Tervis website. Coffee and donuts, perfect! 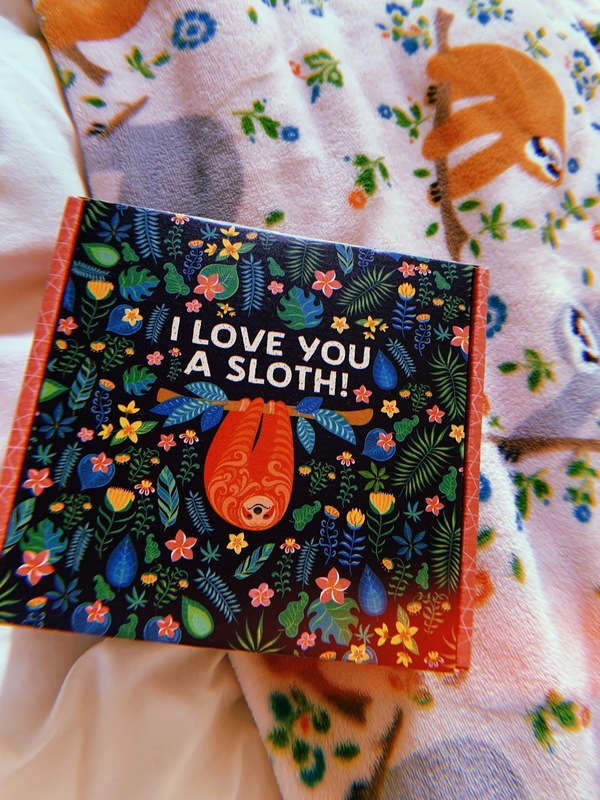 Crated with Love makes this list every year, but this year I'm extra excited to spend time with my boyfriend completing the Crated with Love games and activities because this month's box is sloth themed! My boyfriend's favorite animal is a sloth, and sloths make an appearance in some of our home decor as well, so I'm sure he will get a kick out of this one! I plan to open my Crated with Love Box on Valentine's day, so I will be posting my review of this edition on Instagram. For reviews of past boxes, be sure to check out these posts (1,2). Get $5 off your first box, here. Whether you and your significant other hit the gym together on the regular, or are still working hard to keep that New Years resolution then fitness apparel should definitely be on your list. Flex Living is one of my favorite indie brands when it comes to gym clothes. I am obsessed with their high waisted leggings and they also make some pretty awesome mens clothes. Whether your purchasing a matching set for you and your SO, or coordinating leggings with your gym partner you're sure to make a statement in Flex Living. I just ordered myself a set of their new Bare leggings which claim to be buttery soft, as well as a booty band and matching midi bra. If you're interested in Flex Living be sure to use 'PATTI10' for 10% off your purchase.